Posted: Monday, February 8, 2016. 7:26 pm CST. 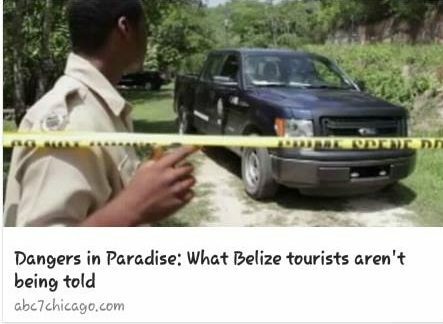 By Dalila Ical: A report published by ABC7 titled “Dangers in Paradise: What Tourists aren’t being told” has stirred reaction from the Belizean public as many consider the piece biased. The report is filed three weeks following the murder of ABC web producer, Anne Swaney, and while it quickly revisits the circumstances of that homicide, it also highlights the murders of at least five other none Belizeans – four US nationals and one Canadian. The latter part of the report has not been received well by many Belizeans. The report indicates that Belize’s murder rate is the third highest in the world, “more than twice the homicide rate of Chicago and higher than any U.S. city”. It goes on to speak about the Belize police department, suggesting that equipment and even training comes mainly from the US but authorities in rural areas in the country don’t really handle murder cases and the sections that do, lack proper resources to do so effectively. Belizean readers have also expressed disapproval of how the interviews were “twisted” to paint Belize as an extremely dangerous country for tourists to visit. In its final 2015 report, the police department reported a 3.3 percent decrease in homicides which occur mainly upon Belizean nationals. Overall, there were 278 less major crimes recorded. Again, the victims were about 2, 200 Belizeans. Yet, as BMG had reported “overall, Belize’s murder rate per 100,000 stands at 32.136, just above the bench mark of 30 given by the United Nations to determine a nation’s crisis point and still among the worst rates in the world”. 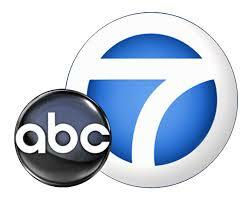 The ABC7 report finalizes by issuing travel advisories from US Embassy officials. Just returned from 9 great days travelling around Belize. Wonderful experience. Don’t forget that USAmerican media is in the business of selling fear to soft people. Sorry Belize was in the crosshaits this time. I was in Belize over New Years and had a man break into our cabana, steal and IPhone and backpack from the living room then proceed into our bedroom where we were sleeping to steal more. I awoke horrified to find the man in our room, luckily upon my scream and boyfriend jolting from the bed to chase him out we were not harmed but will not be returning to Belize. I’ve traveled to over 28 countries never to have this happen.